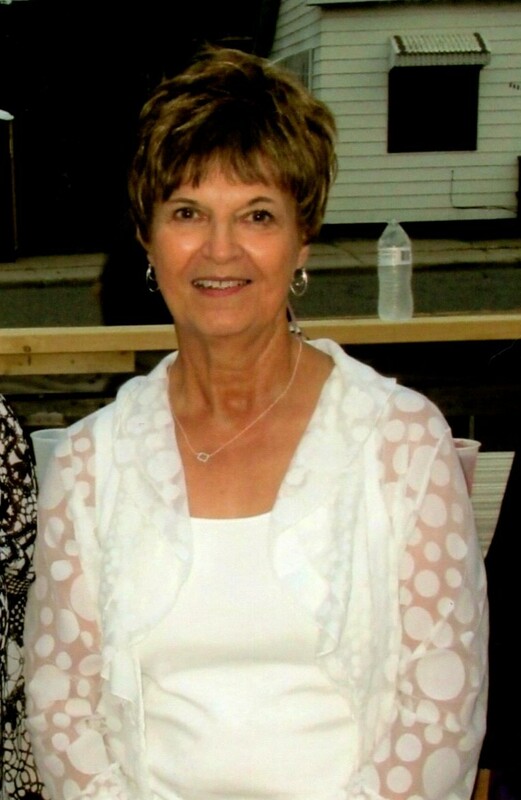 Caroline Benita (Barone) Kujala, 67 of Mountain Iron passed away peacefully on Saturday, January 26, 2019, at the Essentia Health Care Center in Virginia after a courageous four year battle with cancer. Caroline will be cremated. There will be no immediate service, but there will be a private service and mass for close family and friends in the spring. In lieu of cards or flowers, please donate to the American Cancer Society in Caroline’s name. Thank you. Arrangements are with Range Funeral Home in Virginia. To sign the online guest book or to send condolences, please visit www.rangefuneralhomes.com. Caroline was born on May 1, 1951, to Louis and Violet (Marks) Barone in Virginia. She grew up in Mountain Iron and graduated from Mountain Iron High School in1969. Caroline was proud to have earned her secretarial certificate from Eveleth Vo-Tech in 1970. She became united in marriage to her high school sweetheart, Clayton Kujala on July 29th, 1972. Together, they lived and raised their two children in Mountain Iron. Caroline held various jobs throughout her life. She worked at the First National Bank, taught computer skills at Marquette Catholic School, and worked at Sacred Heart Church for over 20 years. She had a strong faith and was very involved at her church as a member also. Caroline was a dedicated mother who was very active in her children’s lives. She involved herself with a variety of activities with and for her children including the PTA, Girl Scouts, Boy Scouts, Sports Booster Club, and taught catechism. She was a devoted wife, mother and grandmother and her love for her family was always foremost in her life. Thank you to the Essentia Health and Hospice staff for the care and kindness to Caroline and her family. She is survived by her spouse of 46 years, Clayton Kujala of Mountain Iron; children, Nicholas (Alicia) Kujala of Duluth and Kristen (Chad) Duame of Cook; her grandchildren, Kendal, Keegan and Addison; sisters, Pauline Barone of Mountain Iron and Corrine (Kevin) Zinter of Iron; a brother, Byron (Kandy) Barone of Mountain Iron; mother-in-law, Gladys Kujala of Virginia; brother-in-law, Larry (Jane) Kujala of Britt, her very special friend, Sheri Johnson of Mountain Iron and several nieces, nephews and many other loved ones and friends. She was preceded in death by her parents, Louis and Violet Barone and her father-in-law, August Kujala. Sending deepest sympathy for your loss. Sending lots of hugs, love, and prayers for comfort and peace. Sending my deepest sympathies to all. I taught religious Ed with Caroline and loved her sense of humor. I knew how she loved everyone. I’m sure she will be dearly missed. My prayers that God will comfort and Bless you. My deepest sympathy to our dear friend Caroline’s family. You will be sorely missed by so many of us. May you Rest In Peace and we will see you one day. We are so sorry for your loss. Caroline was a wonderful Religious Ed teacher, and a great Girl Scout Troop Leader. She was like another mom to all of us kids that grew up with hers. She is dearly missed. Sending our thoughts and prayers to all of her loved ones. Clayton, Nick, Kristen and families. Sending my deepest sympathy to all of you. Caroline was such a good person inside an out . She will be in my heart forever! RIP Caroline (my other sister) you will be missed! Caroline was one of the dedicated folks who kept Sacred Heart Church in Mtn. Iron going all those years we didn’t have a full-time priest. Her smile and sense of humor were always a bright spot, and her courage in facing cancer was truly an inspiration. I’m so thankful I got to know her, and I pray that she now rests peacefully. Clayton and family. Deepest sympathy for your loss. Enjoyed working with Caroline when she was with the City of Mountain Iron and the summer youth programs. Our sympathy goes out to the Kujala family. May she rest peacefully in the kingdom of God. She was truly an angel on earth. Peace and blessings to you. Rest In Peace cousin. I remember all the good times we had as kids. Clayton and Family. Very sorry to hear of Carolines passing. My deepest sympathy and best wishes to You and your Family. We’re so sorry to hear about Caroline. One sweet, pleasant, and to listen to. She’ll be missed. Thoughts and prayers going out to you cousin Clayton, Nick , Kristen and your families. Aunt Gladys, too. This has been a sad time and you all showed her nothing but LOVE!! It is said that we are to remember all our loved ones taught us and showed us in this life, as they were preparing us to lead our way. You have our deepest sympathy Clayton and family. May you rest in peace. I knew Caroline thru Shari and always enjoyed running into the two of them. She was so cute, always smiling and very kind. I am sorry for your loss. Kuj took me under her wing when I joined First National Bank in the mid 70s. She was always kind and had a great sense of humor. I will always cherish those memories. I am just so very sad to hear of her passing. She left way to early. I was privileged to know her!! Sorry to hear about your loss. Caroline and I have not seen each other since we were children. Cousins are forever. Kuj took me under her wing when I joined the First National Bank of Virginia in the mid 70s.she was always kind and had a great sense of humor. I will always cherish those memories. I am just so very sad to hear of her passing. She left way too early. I am privileged to have known he. Our prayers are with you. It’s a sad day. The world lost a great soul and friend. Deepest sympathy to all of Caroline’s family. Caroline was the nicest sweetest person ever! She was always such a pleasure to be around. We had a lot of great times together over the years. Always looked forward to voting and getting to see her and Sheri at the table. Caroline will be greatly missed. So sorry for you loss. Deepest sympathy to Clayton, Nick and Kristin and family. There was no one nicer and sweeter than Caroline. We had a lot of great times together and I will never forget her. I always enjoyed voting and looked forward to seeing Caroline and Sheri at the table. She will be greatly missed. My prayers are with all of you. Our thoughts and prayers are with you all, she will be missed by many. My deepest sympathy to Clayton and family. Caroline was one of the nicest people I’ve known and fun to work with at city hall.